The Havas Group has taken a stake in Miami-based multicultural marketing agency Republica, in a move that will support its expansion to other key US markets such as New York, Chicago and Los Angeles. 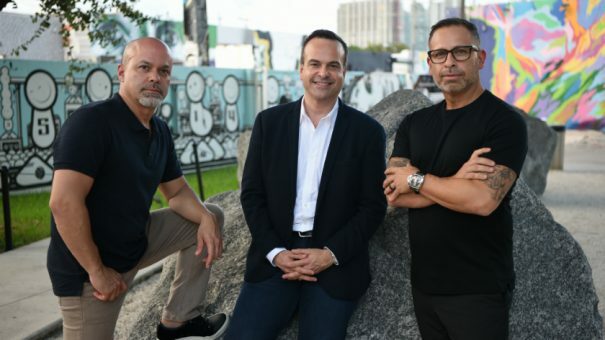 The agency will be renamed Republica Havas and continue to be led by chairman and CEO Jorge Plasencia (pictured above, centre) and president Luis Casamayor (pictured left), under the direction of Paul Marobella (pictured right), chairman and CEO of Havas Creative, North America. Republica Havas, whose pharma clients include Sanofi, Boehringer Ingelheim and Biogen, has a 120-strong team that specialises in making connections across culture, language, and technology. Yannick Bolloré, CEO Havas Group, said: “With multicultural consumers making up nearly 40% of the US population and $3.4 trillion in spending, the current American landscape is the most culturally diverse and technologically fluent in history. Founded in 2006, Republica Havas’ offering includes advertising, brand strategy, production, PR and experiential event services. Havas Creative North America’s Paul Marobella said: “Our mission as a creative agency is to ignite the businesses of the brands we work with through cultural relevance. As such, it was important for us to find the best partner that doesn’t just understand multicultural marketing but is embedded in the fabric of different cultural communities in America – Republica is that partner.